Alhamdulillah, many of us have been fortunate enough to serve the community in a number of different projects. Others will have been fortunate enough to study the sacred sciences and advance in their religious studies. However, have you ever wondered why there isn’t something which blends the two? Of course there are some dawah initiatives and education projects out there, but my question is why is our activism (e.g. our discussions on economics, medical ethics, family and societal issues) is not rooted in education? From my experience, there is little to no established organisations out there which work to address these issues from a rigorously educated position. There is a disconnect between scholars of text and scholars of context. Those which do exist tend to be very academic and have little focus on getting the work out there to the people. I have been involved in a number of organisations and there simply isn’t an organisation working proactively to turn research into action. 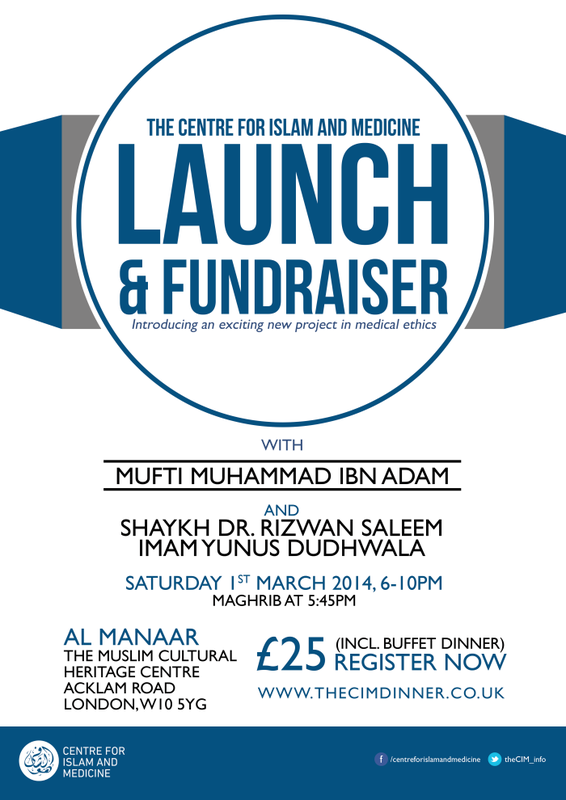 So, this where the Centre for Islam and Medicine (CIM) comes in. Born from our previous work for the MHSN, the CIM is a revolutionary new organisation set up to tackle key issues within medicine, researching each of the key issues andeducating people on the Islamic views about them. From abortion and organ donation to more specialised medical issued etc, we hope to summarise the Islamic opinions out there and educate patients, doctors, imams and health commissioners on the Islamic view around them. Think how much money we can save the NHS by helping people making more informed decisions quicker on all these different healthcare issues. But more than that, we need to root our work in academics and education. Too much of our activism today is done with little to no scholarship. Our hope is to turn this around and establish organisations dealing with these things from the firm ground of academia. We have also worked on a number of different projects with organisations within the NHS as well as other medical charities including Kidney Research UK. They are really keen on working with us and we have already put in a number of joint bids together. However, what has held us back has been the lack of capacity to take things forward as we don’t have the money. Cash injection – we need both regular direct debits and one off donations to kick this project off. Your money will help take this off the ground. Networks – We need this work to spread. There is no point doing it all if it doesn’t reach anyone. Please spread the word as far as you can to all medics and non-medics you know.